Cocktail-inspired cakes are so much fun for entertaining, and this Piña Colada cake in particular has already received rave reviews. It’s a keeper! This homemade Piña Colada Cake recipe is bursting with the perfect combination of coconut, pineapple, and a hint of rum. This is such a satisfying flavor combination, and one that we just don’t see very often in desserts. Why drink a Piña Colada when you can have all of that wonderful flavor in a slice of cake? 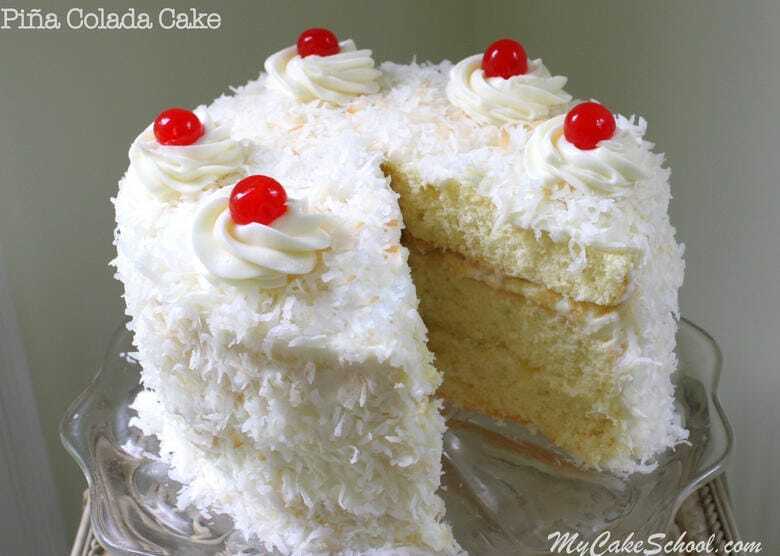 Or better yet, have your Piña Colada with your Piña Colada cake ;0). I can’t think of anything better. This recipe would be fabulous for any occasion, but is especially perfect for summertime gatherings, or even beach and luau themed parties and cinco de mayo! I just love cakes with fruit, and while we’ve made coconut cakes before, the addition of pineapple and rum really makes this recipe something special and unique. **You’ll notice that this recipe calls for the Reverse Creaming Method of mixing. The steps are listed in our recipe, but if you are new to this method, you may like to watch our free video tutorial on the Reverse Creaming Method of Mixing. 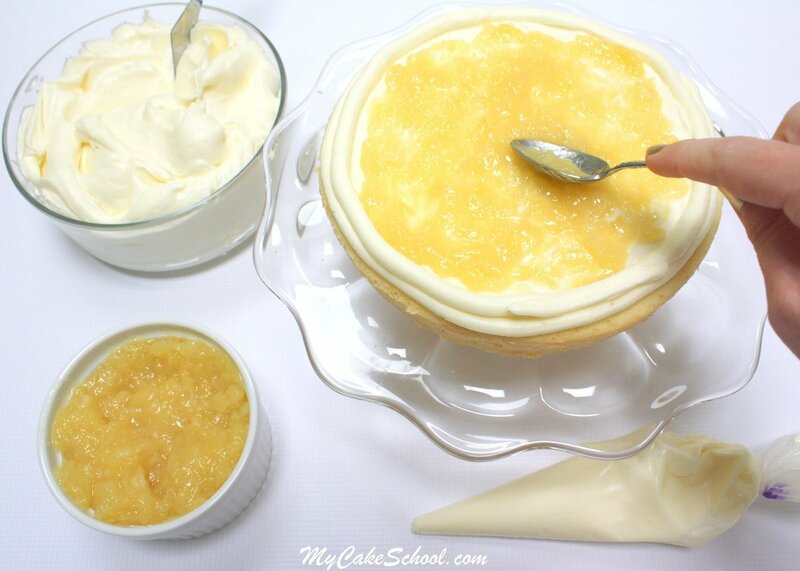 We use this method for several of our scratch cake recipes as it yields a wonderfully moist cake. Please let us know if you have any questions! Here’s a peek at the assembly of this cake. As you can see, the coconut cake layers are spread with Piña Colada Cream Cheese Frosting (YUM) and a layer of crushed pineapple filling. We’ve created a dam with our frosting to help contain the luscious homemade pineapple filling. By the way, this pineapple filling is the BEST, yet so simple to make! It’s a cooked three-ingredient recipe that really packs a punch of delightful pineapple flavor! If you love all things pineapple, don’t miss our Pineapple Cake Recipe! This cake features moist homemade yellow cake layers with a thick and flavorful Pineapple & Cream Filling and cream cheese frosting. YUM! 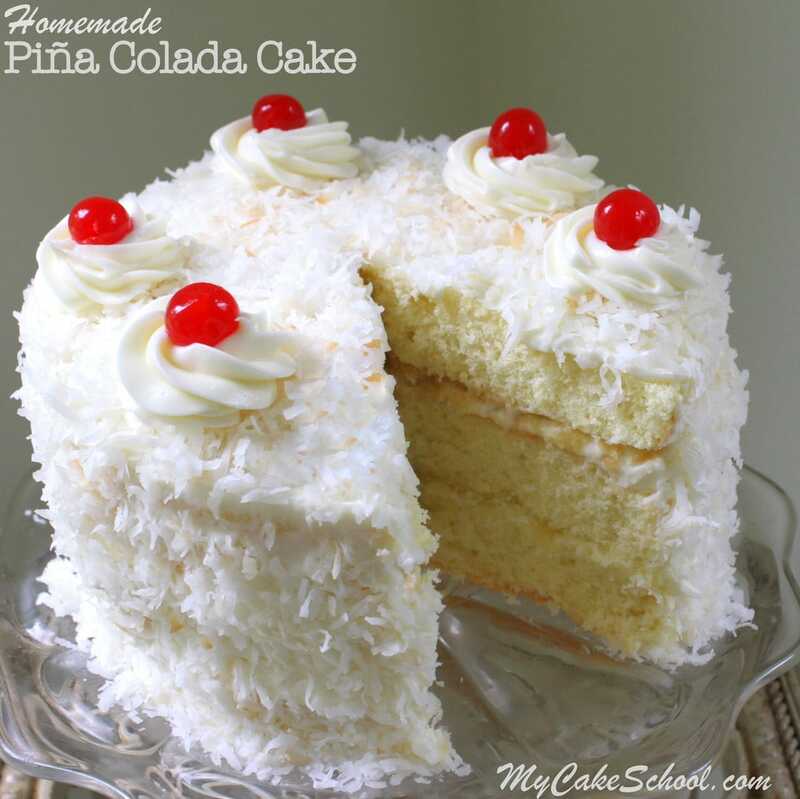 We hope that you enjoy this pina colada cake recipe as much as we have! With it’s toasted coconut, crushed pineapple filling, flavorful coconut cake layers, and a hint of flavor from the rum extract, this cake is truly one-of-a-kind! It’s always fun to bake something a little different and unexpected, and cocktail-inspired desserts are sure to be a hit! 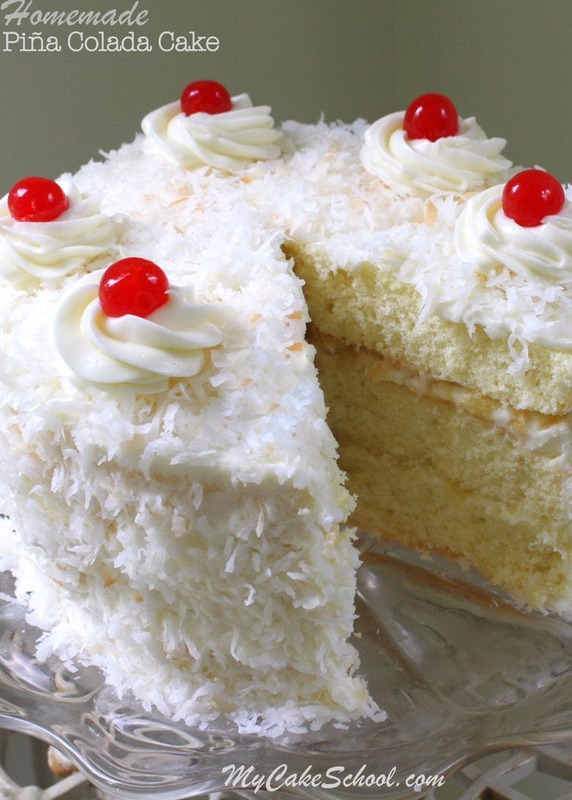 This delicious Piña Colada Cake recipe is the perfect party cake! You'll love the flavor of pineapple, coconut, and a hint of rum! In a small bowl , combine eggs, coconut milk, oil, coconut extract and rum extract. Blend with a fork and set aside. SLOWLY add approximately 1/2 of the egg mixture to the dry ingredients and beat for 1 1/2 minutes. Scrape the bottom and sides of the bowl then add the remaining egg mixture in 2 pourings, scraping the bowl and beating for 20 seconds after each addition. Combine all ingredients in a saucepan and cook over medium heat. When the mixture begins to boil, stir constantly until it begins to thicken, approximately 1 to 2 minutes. Keep in mind that it will thicken even more as it cools. Cool completely in refrigerator before using. Slowly add the powdered sugar, beating until smooth. Spread 1 cup of coconut evenly on a baking sheet and bake for approximately 5 minutes. Stir after a couple of minutes. Remove from the oven when some of the coconut is slightly brown. If it is baked too long it will become dry and chewy. I press some of the browned coconut into the untoasted coconut that is covering the cake. It is an interesting look on the cake, but completely optional. Place a cake layer on a cake board or serving stand and spread with a thin layer of frosting. Pipe a dam of frosting around the edge of the cake layer (approx. 1/2 inch in). Spread a layer of pineapple filling over the thin layer of frosting and inside the dam. The dam will keep the pineapple filling in place as you begin to stack your layers. You can also sprinkle a bit of coconut over this if you like. Repeat with the next layer. Crumb coat the cake with a thin layer of cream cheese frosting and refrigerate for 1 hour or freeze for 15 minutes to firm everything up. Now you will be ready to spread on the final coat of frosting. Press in the coconut on the sides and top of the cake, adding a bit of the toasted coconut here and there. Optional: Using a 2D tip, decorate the top and place maraschino cherries and shown in the picture of the cake. Thanks for stopping by! Don’t forget to scroll through our full collection of favorite cake, frosting, and filling recipes in our Recipes Section! 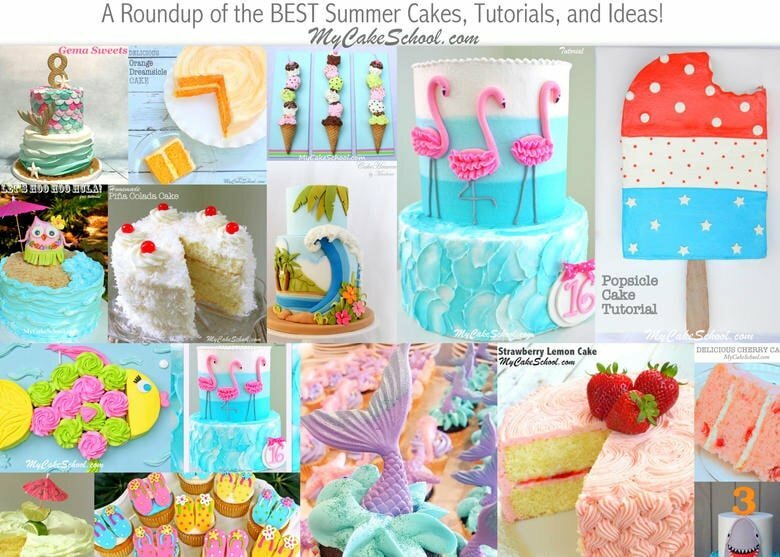 We also have a growing collection of free cake tutorials and cake videos! Find these in our Free Cake Tutorials Section! BeBe, you said its ok to use the creaming method (which is the method I love and prefer), so will the oil need to be creamed with the sugar and butter and the milk is to be alternated with the dry ingredients to mix?? Thanks for clearing this up. Hi Chandra, I recommend writing the ingredient list and instructions out in the order of the conventional method, and count the ingredients because it is so easy to leave something out. As for the oil and conventional method — to the coconut milk I add the oil, coconut and rum extract. That is what I often do. You could also mix the butter and sugar 3 to 5 minutes until light and fluffy and then mix in the oil. I have good results both ways. Hope you enjoy the recipe. Thanks for your speedy reply BeBe, I was also asking if the milk is to mixed in alternately with dry ingredients. THANKS!! Preheat the oven to 350 degrees. Grease and flour three 8×2 inch round pans. To the bowl of your mixer add the butter and mix until smooth. Gradually add the sugar and beat 3 to 5 minutes until light and fluffy. Add the eggs one at a time beating just until the yellow of the yolk is mixed in. Alternately add the flour mixture and the milk mixture. Beginning and ending with the flour (3 additions of dry ingredients and 2 of wet). Bake at 350 degrees for 25 to 30 minutes or until a toothpick inserted in the center comes out clean or with just a few crumbs attached. THANK YOU SO MUCH Bebe…will certainly let you know how this works out. Hi Kate, Your cake is beautiful…..so happy you like the recipe!! Hi Bebe, so I made it for my Mom’s birthday. Followed the conventional method, except I added oil into creamed butter and sugar. Don’t have coconut or rum extracts so I just used the same amounts of coconut rum instead. THE SPONGE IS SO LIGHT AND TENDER!! (DIY cake flour also). You can see I was limited in my design and use of frosting as my mom isn’t a fan of anything too sweet, so I also added a little lime juice and salt to the frosting. Where can I find these extracts, may I ask? Though it was enjoyed by all, I think I may have missed the real taste due to the lack of not using the extracts. THANK YOU!! Hi Chandra, Your cake looks beautiful and delicious!! I’m happy to hear that your family enjoyed the recipe. We used Watkins brand rum and coconut extract. In our area, the extracts can be found at Walmart. They can also be found online. Thanks so much for posting your pictures and review of the recipe. I just made this. The batter is so yummy. I ended up making a small cake and then cupcakes. I scooped out the middle of the cupcakes and put the pineapple filling in the middle then frosted and put a little bit of coconut on top. Can’t wait to have one. Hi Chandra, Your cake looks beautiful, thanks for trying the recipe!! Hi Maureen, That sounds like a great idea for the cupcakes, thanks for posting!! 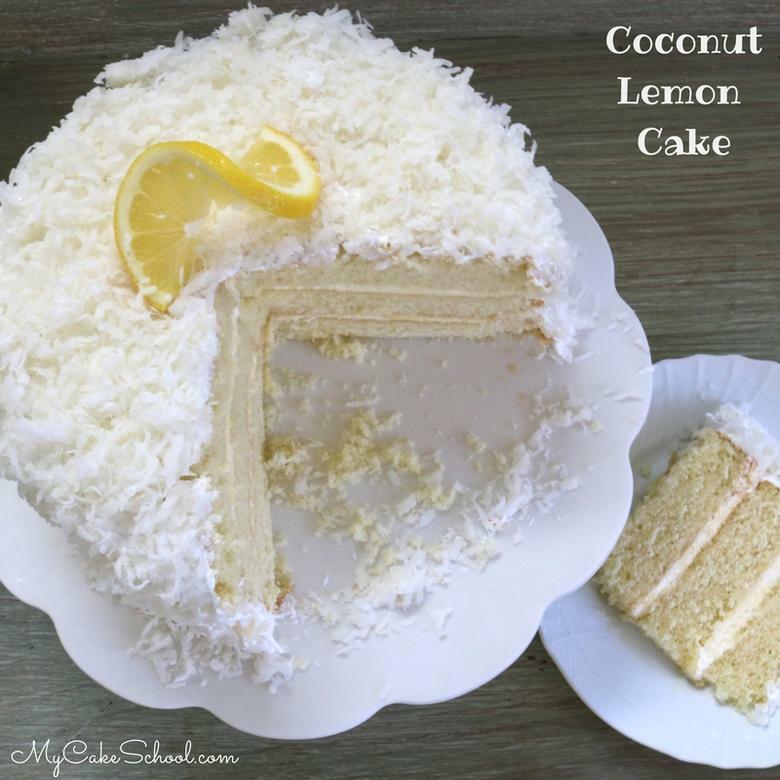 This is a delicious cake – I’ve made it once and received great reviews! I now need to make it in a 10″ round cake pan. Can you provide some guidance as to how much batter to use for the 10″ pan? Thanks! Hi Sonia, I’m so happy you like this cake! The recipe makes 6 1/2 cups batter. For a 10″ pan you will need 6 cups batter — you will have a little bit left over for a cupcake or two. Below are links to cake batter amount charts that I think you will find helpful. This is very helpful! Thank you so much BeBe! Hi Katrina, We used Goya Coconut Milk (a canned milk) for this recipe. It is unsweetened. Hope you enjoy the recipe. How many cupcakes does this make? Planning to make this for a birthday party. Hi Robin, The recipe makes 6 1/2 cups batter so I think you should be able to get 24 to 26 standard size cupcakes. Thanks Bebe! I made 28 luscious yummy decadent cupcakes! The lightest fluffiest must wonderful and filled with pineapple filling. I added a tiny part of butter to the filling. Cut some of the sweetness and made it silky. Hi Robin, Wonderful! I’m so happy you like the recipe. It’s good to know for sure how many cupcakes it will make. Thanks for letting us know.